Akira Kagami is currently Executive Advisor & Global Executive Creative Advisor at Dentsu. 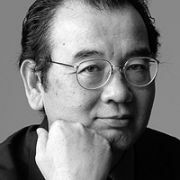 After graduating from Waseda University, Kagami joined Dentsu in 1971. He started his career as a copywriter and Creative Director in 1991. From early in his career, Kagami worked with clients in a wide range of fields, including soft drinks, food, electrical appliances, automobiles, insurance, and media. Over the years, he has received numerous awards, as well as the Grand Prix at Japan's ACC Awards. He also won the Grand Prix at the Asia Pacific Advertising Festival for two consecutive years, for commercials created for the satellite TV broadcaster WOWOW, and for the third time in 2002 for Japan Ad Council. He has served as jury at many oversea advertising Festivals such as Cannes in '96, Clio in '99. He has introduced Japanese TV commercials as a presenter in many overseas conference seminars including Cannes International Advertising Festival, Clio China, and NY One Club. He also arranged and presented an official seminar at Cannes "ASIAN EXPLOSION DENTSU", which DENTSU introduced Asian Advertising. In 2002, he was appointed as Chairman of the Panel Judges at Ad Fest, where he also won the Grand Prix.